"Hellboy" and "The Golden Army" both lamented the loss of strange, beautiful creatures. Sound familiar? 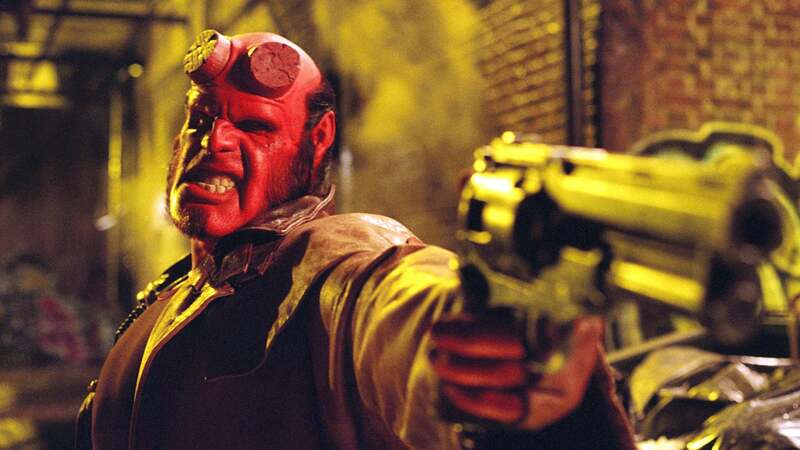 Guillermo del Toro’s two “Hellboy” movies were made before a certain cinematic universe had a name. Marvel’s 21 (soon to be 22) films standardized the assembly-line approach to overlapping narratives and origin stories, and the comic-book adaptations that preceded them by even a few years — like “X-Men” and “Spider-Man” — skipped much of the throat-clearing and presented their heroes as fully formed beings by the second act. Del Toro and his cast (especially Hellboy himself, Ron Perlman) were vocal about wanting to continue this chthonic franchise, a dream dashed against the rocky shores of Hollywood when Lionsgate passed over plans for a trilogy-completing installment in favor of a fresh start. That gave us Neil Marshall’s reboot, which opened in theaters April 12 (and, according to reports, appears to be on its way to a flop in its opening weekend). Del Toro’s diptych was full of occult trappings and religious iconography, but it eschewed gore in favor of mystical visuals and a familiar but effective message: It isn’t the circumstances of our birth that define us, but the choices we make. (“Batman Begins” repeated this sentiment almost verbatim a year later.) Hellboy’s real name is Anung un Rama, which has an objectively awesome translation — and upon his brow is set a crown of flame — but he’s more sarcastic than satanic. However, Marshall’s reboot downplays the more endearing aspects of Hellboy’s personality (his affinity for cats and candy isn’t mentioned once) while upping the blood-and-gore quotient considerably. Gone is the charm of the earlier projects, replaced by an increase in violence that reduces a once-unique world into just another CGI battlefield. Another crucial difference between “Hellboy” and the unified-universe movies that now dominate the superhero space: Everyone and everything that dies in del Toro’s movies stays dead, including a literal Hound of Resurrection. That’s rare these days: Agent Coulson died in “The Avengers” only to be brought back to life on “Agents of S.H.I.E.L.D.,” Groot sacrifices himself at the end of “Guardians of the Galaxy” and is quickly reborn as the adorable Baby Groot, “Captain America: The Winter Soldier” reveals that neither Nick Fury nor Bucky Barnes actually died, despite all appearances to the contrary, and does anyone believe that either Gamora or the many heroes who disintegrated at the snap of a finger in “Avengers: Infinity War” are truly dead? What’s most worth remembering (and missing) about del Toro’s “Hellboy” and “Hellboy II: The Golden Army,” however, are its creature designs and visuals. Made after “Pan’s Labyrinth,” when del Toro presumably had the most creative freedom of his career prior to his Oscar triumph with “The Shape of Water,” it looks unlike any other comic-book movie ever made. Everything from the Angel of Death and the Chamberlain to the tooth fairies and Golden Army itself is breathtaking in its own way, whereas Marshall’s film emphasizes grotesquery over beauty. 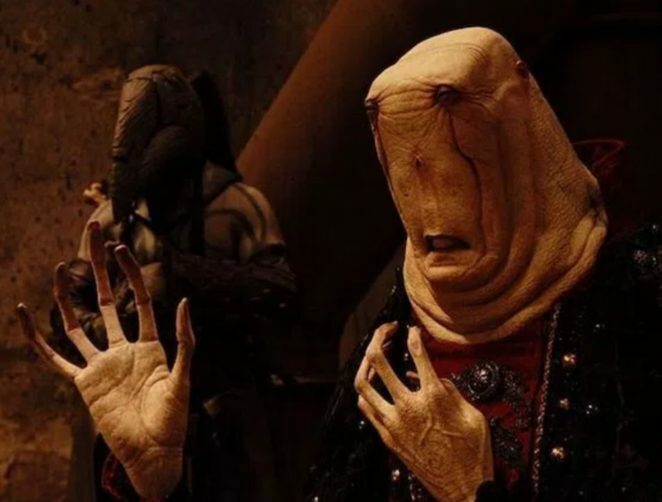 So it’s fitting, and even a little sad, that so much of “Hellboy II: The Golden Army” is about strange, beautiful creatures fading away forever. As Hellboy attempts to stop a plant-like forest god that spreads verdant greenery to everything it touches midway through the film, Prince Nuada materializes to make him consider the implications of such an act. “Look at it: the last of its kind, like you and I,” he says. “You destroy it, the world will never see its like again.” After hesitating for longer than he usually does, Hellboy shoots the building-sized creature and brings its species to a violent end.